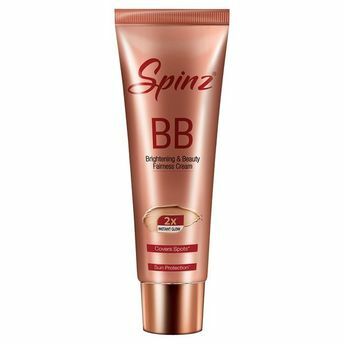 Spinz BB Cream is a brightening and beauty fairness cream which covers your spots and blemishes giving you an oil free natural looking glow. It gives your skin a bright and clear complexion. Explore the entire range of BB & CC Cream available on Nykaa. Shop more Spinz products here.You can browse through the complete world of Spinz BB & CC Cream .Alternatively, you can also find many more products from the Spinz BB Cream Brightening And Beauty Fairness Cream range.